Ava is a sophomore at Yale University majoring in Molecular, Cellular and Developmental Biology. She is a Yale Freshman Research Fellowship recipient and is a research assistant at the Yale School of Medicine. 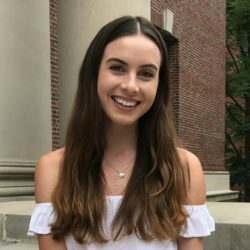 She is excited to be a Genetics Education Student Leader and create educational content to inspire students in genetics at universities across the country. She is originally from Millbrae, California and hopes to attend medical school after Yale.